I embarked on the Guatemala trip with a slight feeling of remorse, as it was an experience well outside my normal comfort zone. Immediately upon landing in Guatemala my attitude changed, and I realized this trip would be a positively memorable life experience. The VIDA staff were fun, helpful, and supportive throughout the trip. The cultural immersion and dynamic team building throughout the stay made for a revitalizing break from studies, while providing care to underserved rural communities gave purpose to our stay. 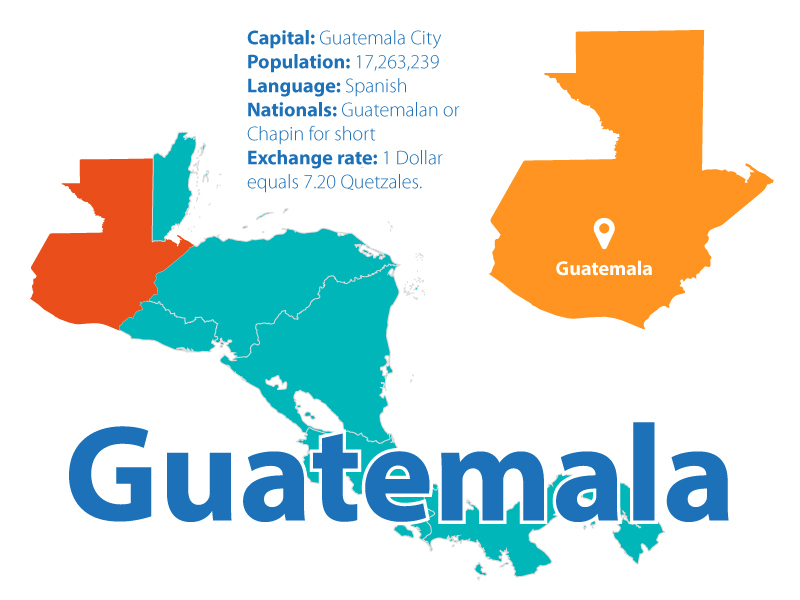 Guatemala is the biggest country in Central America. Unfortunately, it also sets a record by having one of the highest disparities between rich and poor as well as one of the highest poverty levels worldwide, with 54% of the population living below the poverty line in 2006 and 54% in 2011. According to USAID, Guatemala has the fourth highest rate of chronic malnutrition in the world, and a large prevalence of diabetes and heart disease. Despite the urgent need, it is estimated that basic health services meet less than half of the rural population needs. As a result of the lack of pre-natal care, the proportion of maternal mortality is 113 deaths per 100,000 live births. The lack of effective referral systems also limit the efficiency and effectiveness of the health system, and presents an important barrier to effective care in emergency situations. Ready to save precious lives? Volunteer in Guatemala and join our team! Contact us today. Exchange rate: 1 Dollar equals 7.20 Quetzales. The name “Guatemala” comes from the Nahualt language that means “Land of Trees”. Its landscape consists of beautiful mountains and volcanoes. There are over 8,000 species of plants and Mayan communities use many of them as natural medication due to its low cost. Minors from rural and underserved regions seek care from traditional healers, such as ‘curanderos’ or folk healers. Spanish is the official language but there are 21 Mayan languages spoken by at least 6 million Mayan people, which is why we also have Mayan interpreters at our clinic sites. Our local office is located in the city of Antigua, which is a living museum of Spanish colonial history. As the former capital of Guatemala (built in 1543), Antigua remains one of the country’s must-see destinations. Our volunteer in Guatemala opportunities start in Guatemala City, where our teams spend their first night at one of our partner hotels. Orientation is held the next day and right after it, our teams will head to their designated communities. Guatemala is rich in culture, which enhances the learning experience for our internship abroad students, who will have the opportunity to become familiar with Mayan customs and traditions. Therefore, recreational and cultural activities such as the visits to the Weaving Association, the Antigua Colonial City tour, the hike to Cerro de la Cruz, the Casa de Jade tour, or the Choco-Museum are undoubtedly highlights in our itineraries. Weaving Association in San Juan, La Laguna where indigenous women weave traditional clothing, handbags, shawls, and other products. Where do we work in Guatemala? The majority of health services are located in the most developed cities, not easily accessible for rural and indigenous populations. This is why our volunteer work in Guatemala is focused on rural communities populated by indigenous people, as they generally suffer the worst health outcomes. We have partnered with several communities in Sololá, Chimaltenango, Ixtahuacán, Santa Lucía Milpas Altas, and Sacatepéquez.